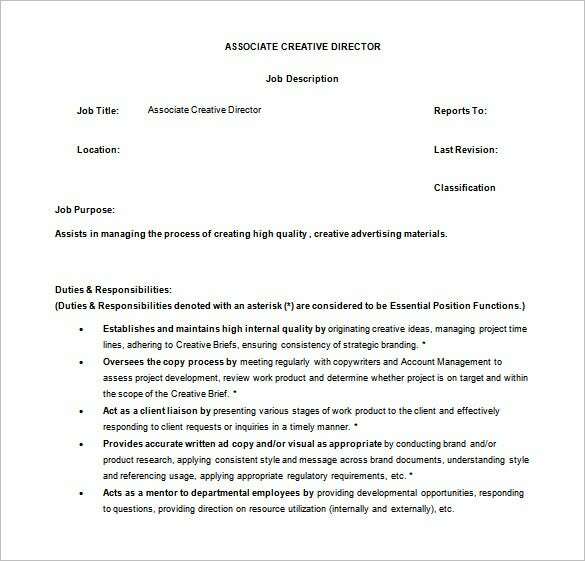 A creative director undertakes the creative operations of an organization dealing in arts and related fields. 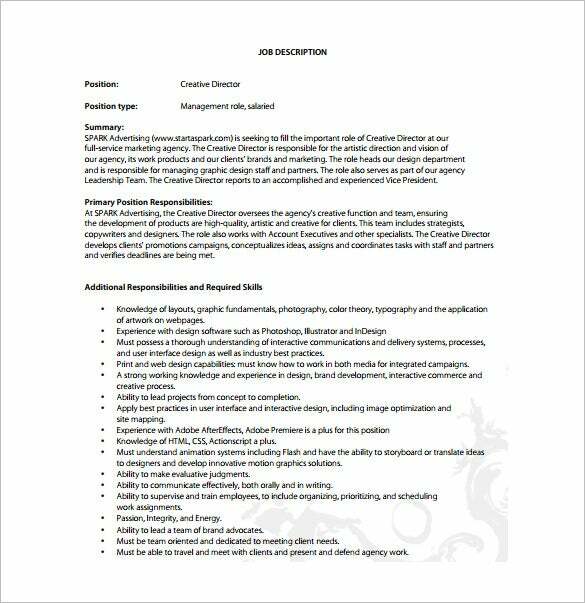 The job entails implementation of objectives and strategies such as training of artists gifted in diverse areas like music and writing as well to ensure policy making.You may also see Job Description examples. The creative director also participates in the budgetary control and recruitment of new employees into the organization. 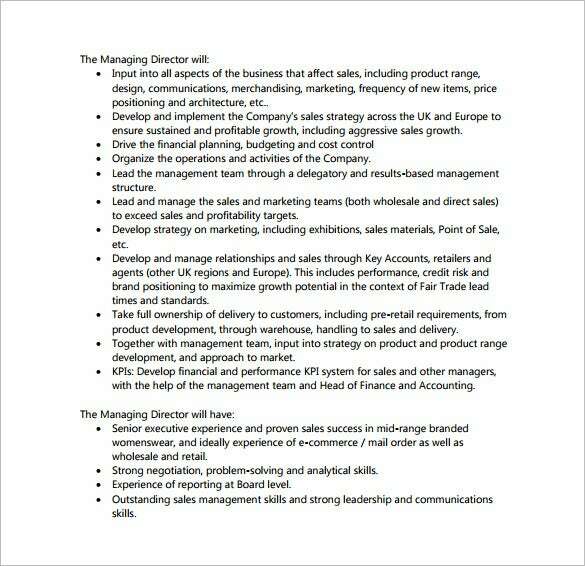 You may Like CEO Job Description Templates. 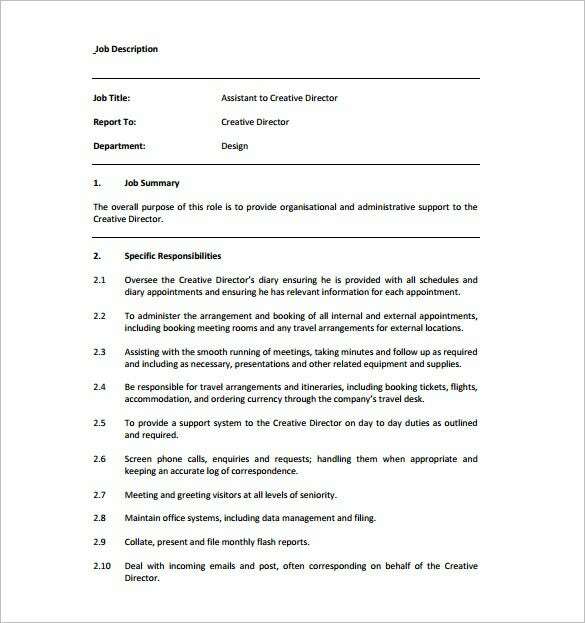 aaaa.org | The associate creative director job description is a wonderful way to jot down all the important rules and regulations, a creative director needs to follow before appearing for the interview. The amazing template gives all the necessary details in a much more organized way. Download this template from the given link below. peopletree.co.uk | Being creative is the only way to survive in the world of fashion and art. The fashion creative director description is an appropriate way to emphasis on the creative responsibilities of a creative director, thus making it very easier for the viewers to get an idea about the exactness of the work. 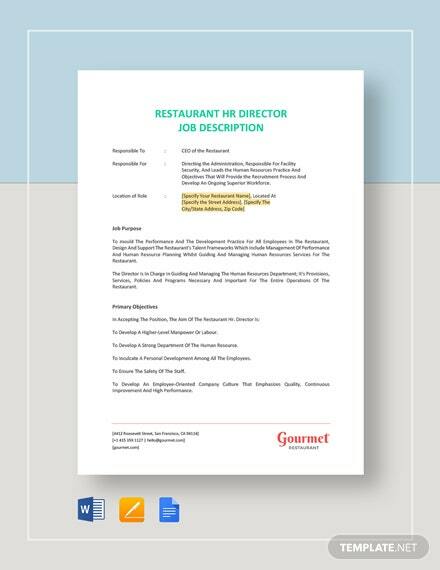 startaspark.com | The executive creative director description for free is one of the best way to keep the job definition crisp and concrete, a way to enhance the communication system between the recruiter and the applicant. The template works in a very remarkable manner to let the interested person know about his duties. 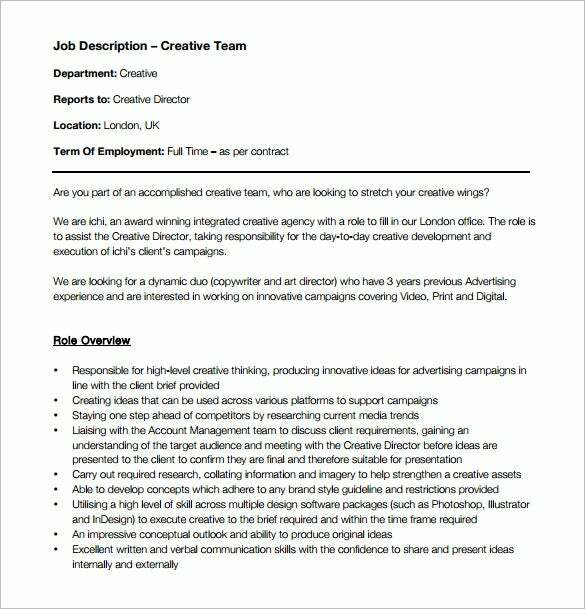 ichi-worldwide.com | The creative director job description for advertising makes it easier for you as a recruiter to specify the job adjectives in much organised way, so that the whole process of communication cannot be misunderstood. Download this exclusive template so that you can connect to your viewers in a better way. With the daily increasing rush, it is very hard to keep up the communication between the recruiter and the applicant in a misconception- free way. 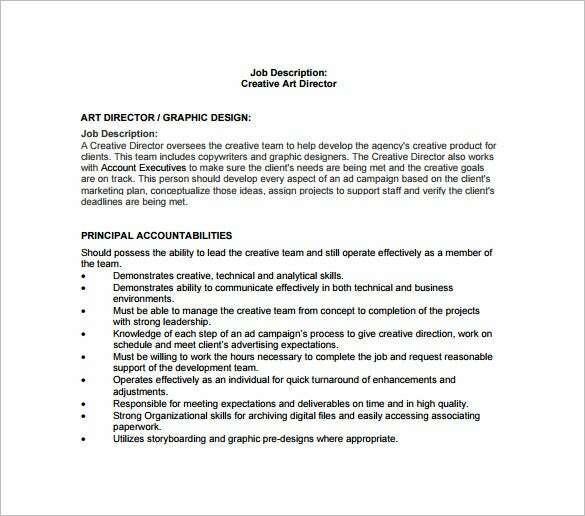 The creative director job description helps you to portray all your expectation in a much easier way. It can certainly be used to maintain the professional decorum and hence defining the work of a creative director to certain level of exactness. It is always preferable to use these kinds of templates, to make sure that the viewers get’s all the necessary details of the post. The language used is easy to understand, therefore can be used to clarify and save time in a better way so that everything works in a cost effective manner. 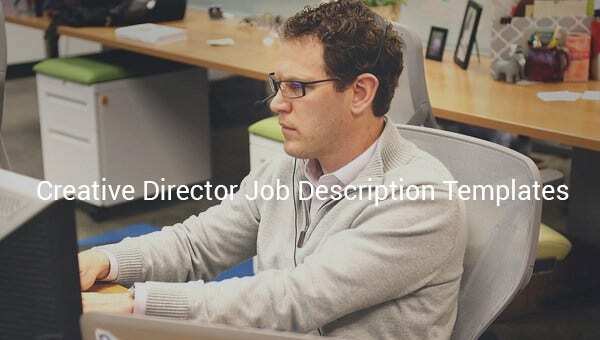 The amazing sets of creative director job descriptions are here to aid the selection process of any company regarding filtering out the best possible creative director from the applicants. 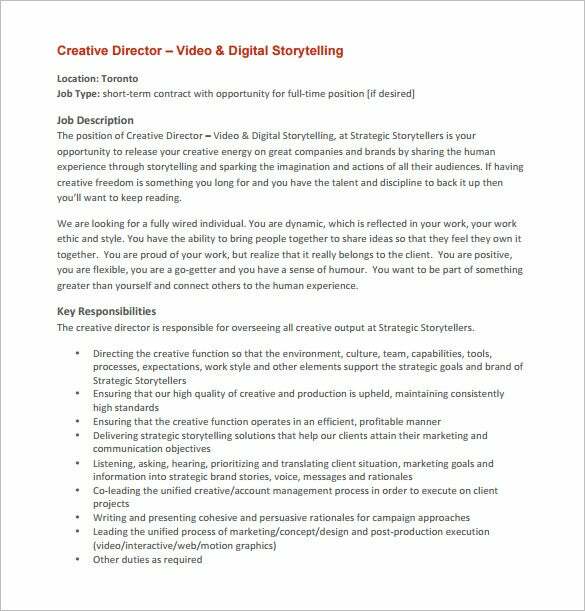 The creative director job descriptions are mainly for those people who are looking for good job in the world of creativity. Anyone who is interested to be in fashion industry can refer to these templates. As creative ideas are always an essential part of growth, almost all companies need a creative director to put their ideas in much more creative and eye catchy way. 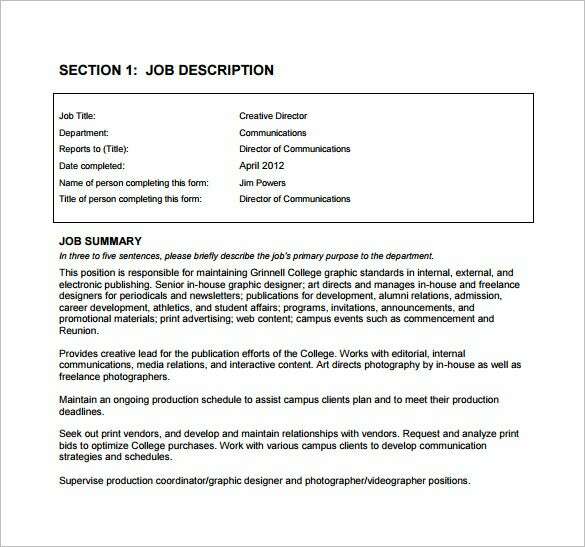 Thus, people looking for a job to show their creativity is highly helped by these templates. Anything which gives a compact yet effective look to a company is beneficial to you, as a recruiter. The creative director is someone who applies your techy ideas in a much more artistic way, but that is now the perfect way to describe the working of a creative director as the whole process can be diversified. These templates come into play here, to save your time in making each and every point clear. The user friendly language makes it a fair deal, as it attracts people in a better manner. 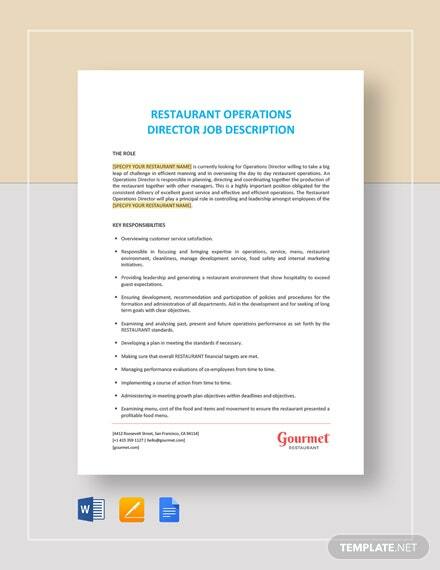 The whole point of using a job description is to make sure that the job description is done in professional manner, and these templates are very good examples of creative director job description.